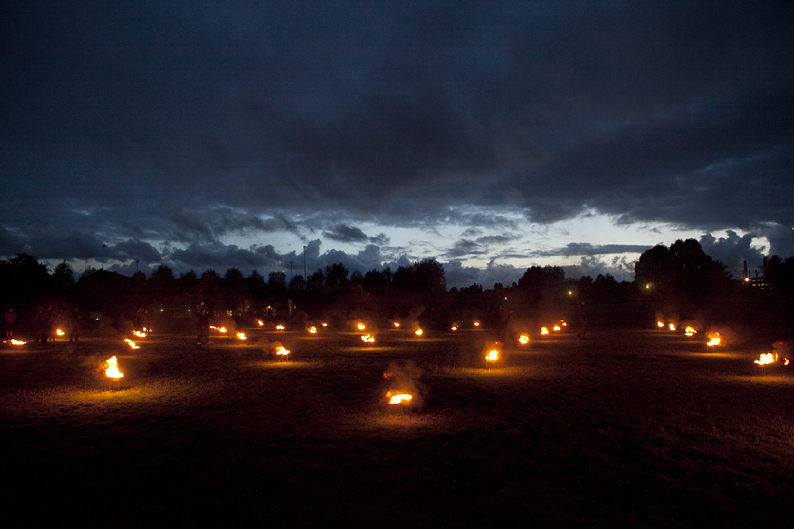 In Anthony McCalls‘s ‘Landscape for Fire’ a series of fires are lit in sequence on an open field. A short, beautiful and dramatic event, the first performances of which took place in England in the 1970s. 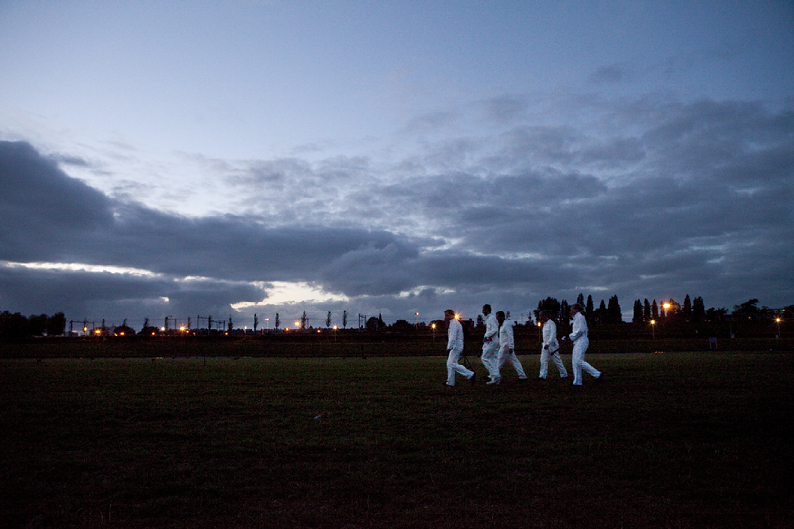 Performers clad in white ignite a grid of fires to reveal a geometric pattern which illuminates a landscape. 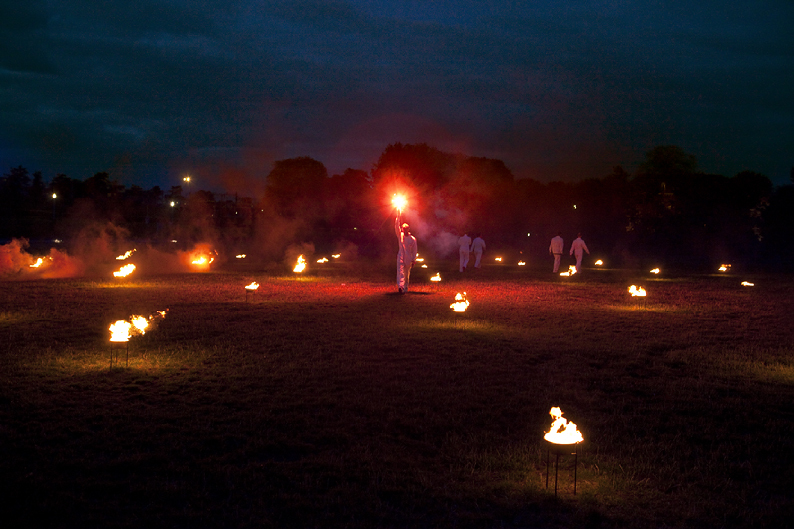 In this DNK ensemble reenactment, based on the film exhibited at the Serpentine Gallery in 2007, the ignition of the fires are amplified in the field as matches are thrown and other sonic and pyrotechnic events occur. 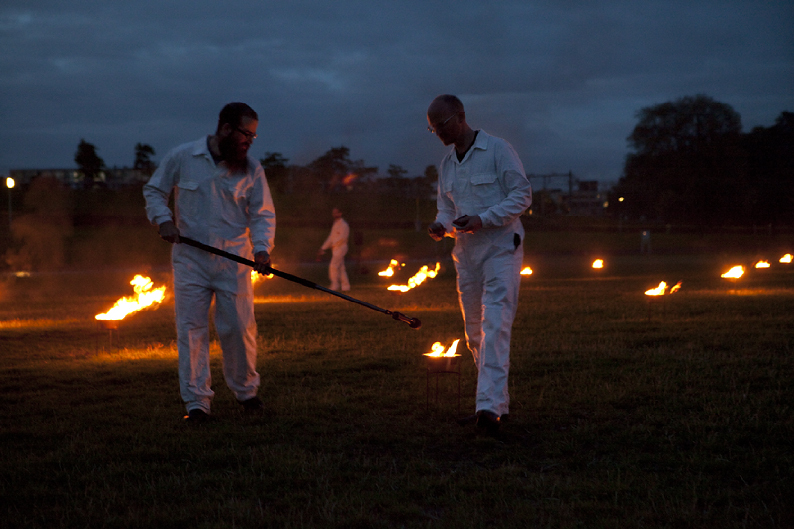 The performance comes to a close as the fires burn naturally to their end and the site becomes calm after what could be thought of as a ritualistic intervention. February 2015 during the Nearly Not There exhibition, DNK ensemble produced ‘Out Of Darkness’, an indoor version of ‘Landscape For Fire’ using 4 gas burners.